Mud, we can't wait to wash it off our clothes only to slap it back onto our faces. 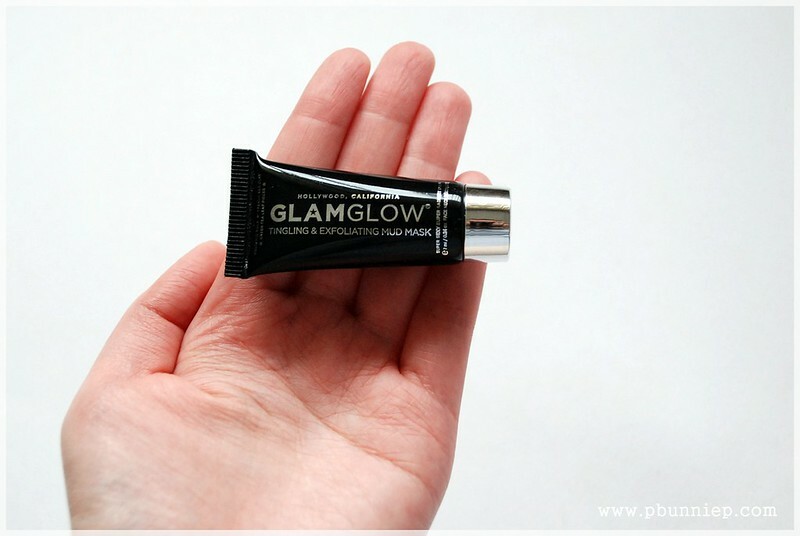 It's quite a mysterious thing really and this GlamGlow mud mask is just every bit as curious because it claims some miraculous effects and is said to be one of Hollywoods best kept beauty secret for instant good looks. This $69 stunner contains a combination of French sea clay, volcanic minerals and plant extracts such as green tea for a "10 minute instant facial" effect. 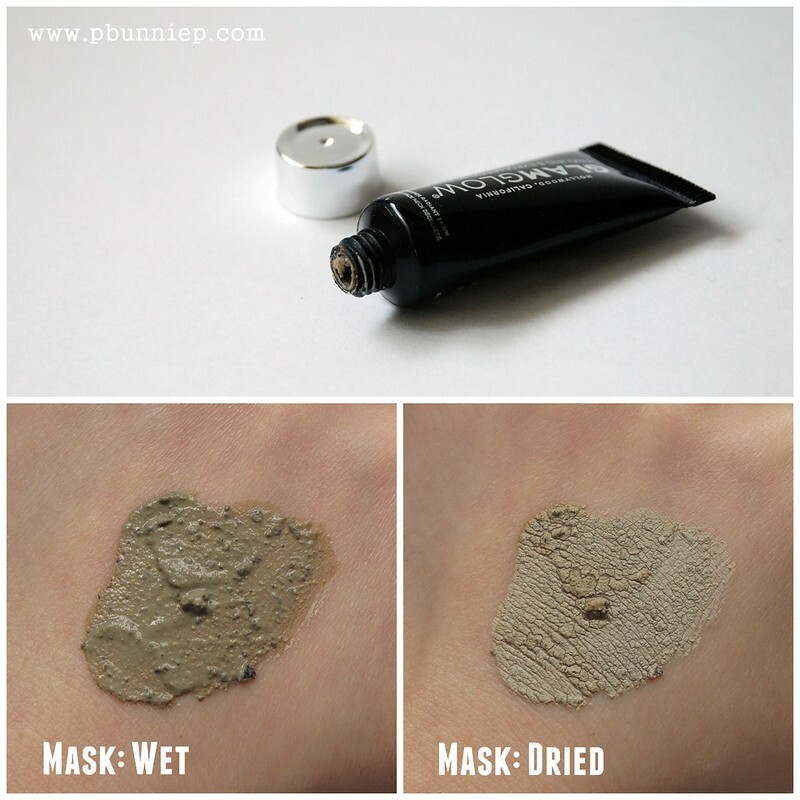 The mask is a thick moss green colour and has a viscous consistency which requires you to apply a thicker layer than you would most mask products in order to achieve even coverage. It is lightly scented though not overwhelming with a soothing spa-like fragrance (for the lack of a better word) and generously scattered in the mix are gritty bits of pumice stone for exfoliation when rinsing off the product. I spot tested this mask on problematic areas of my face (forehead, nose, inner cheeks, chin) only to find that it stung my skin for a good few minutes until the minty sensation settled away. I don't have particularly sensitive skin but it was the kind of sting that made you question whether or not you should just wash it off now, so sensitive skins should venture into this cautiously. I sat through the 10-15minutes during which the wet mask hardened, cracked and tightened on my skin, an effect which can really be felt as you skin gets pulled taunt during the drying process. The mask requires good saturation to re-moisten the clay before washing off so take your time to wet your skin thoroughly. I did enjoy the pumice scrub which was very effective (though some particles were a bit large and awkward to work with) at exfoliating the skin, making this a 2-in-1 product in my opinion. After full removal of the mud my skin was a tinge red which faded quickly to result in smooth, refreshed and visibly tightened skin. My face looked bright and my facial contours a bit more defined (if my eyes weren't fooling me) even if just slightly but the results are certainly noticeable in a relatively short amount of time. I can see this working well as an instant fix for those very special events in which you need a quick fix to look your best especially for fatigued tired skin or mature skin for the lifting effects. In texture and feel this is quite similar to the Lush Mask of Magnaminty though the immediate results are much more impressive. Does it work? Yes. Is it worth the $69 price tag? Maybe not. I say this because I truly feel it's more important to focus on a solid skincare routine on a daily basis rather than neglecting that in favour of using quick fixes. If your skin is in good condition to begin with, you're not likely to need to use such an intensive mask very often thus diminishing its value. Certainly if my position required being on the red carpet or going to to weddings or big events, perhaps I will keep one for those emergencies (hence I'm sure this will continue to be popular in Hollywood). For the average consumer, it's rather extravagant and certainly a luxury that works but is hardly a necessity or a must-have. Ingredients: Aqua (Water), Montmorillonite (Volcanic Minerals), Kaolin (French Sea Clay), Magnesium Aluminum Silicate (Purified Clay), Polyethylene, Pumice (Micro Volcanic Rock), Camellia Sinensis Leaf (Green Tea Leaf), Camellia Oleifera Leaf Extract (Green Tea), Chamomilla Recutita Flower Extract (Chamomile), Calendula Officinalis Flower Extract (Marigold), Cucumis Sativus Fruit Extract (Cucumber), Hedara Helix Extract (Ivy), Symphytum Officinale Leaf Extract (Comfrey Herb), Lavandula Hybrida Oil (Lavender), Glycerin (Vegetable), Parfum, [Benzyl Benzoate, Hexyl Cinnamal, Limonene, Linalool], Phenoxyethanol, Methylparaben, Butylparaben, Ethylparaben, Propylparaben, Isobutylparaben, Diazolidinyl Urea. Perhaps it would help to spray some thermal spring water (such as Avene or Uriage) every few minutes when the mask is on? I heard it really helps with clay or mud masks that tend to get really dry and make the skin feel tight and uncomfortable.